I had the privilege of speaking at the Prof. Photo. of Ohio Convention in Dayton OH and the WPPI (Wedding and Portrait Photographers International) Convention in Las Vegas this March. It was fun to run into so many friends and meet some great, new colleagues. We also had the South Dakota Professional Photographers Winter Seminar in Sioux Falls. 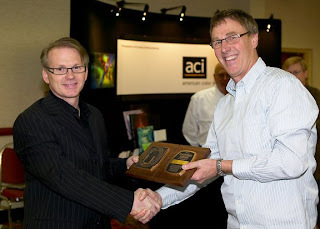 I was honored to receive the Professional Photographers of America National Award. This prestigious award is available to a deserving individual for their service to professional photography and their commitment and dedication in helping others to improve at their craft. I am truly humbled to receive this award.